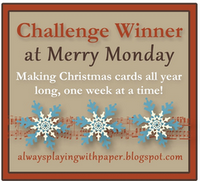 My little craft blog: Pals Blog Hop! 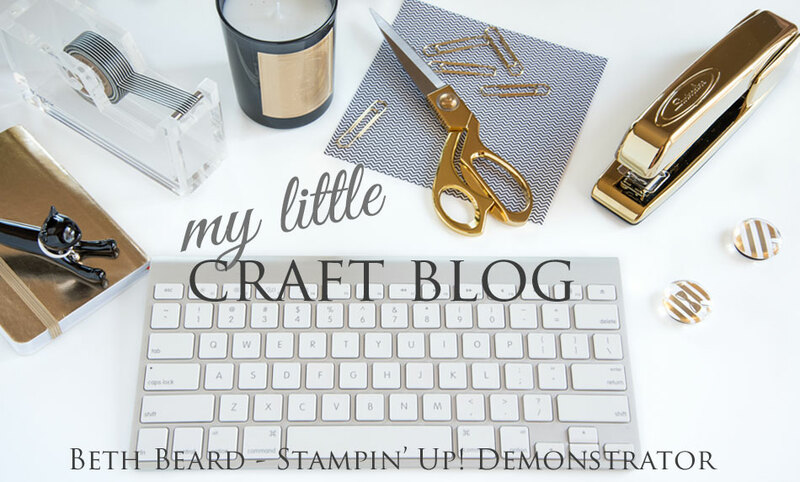 It's the occasion of the year as the Stampin' Pretty Pals share some fabulous cards and projects featuring Stampin' Up! 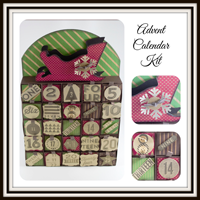 's Occasion Mini and Sale-A-Bration products on today's Pals Blog Hop! You've probably hopped over from Ann Schach at The Stampin' Schach, I'm stop number 19 on the Pals Hop and I'm glad you hopped in! 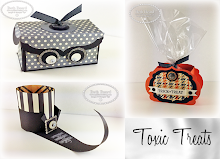 I'll help you "hop along" from blog to blog where you'll find great ideas for paper projects showcasing Stampin' Up! 's Occasion Mini and Sale-A-Bration products from the Stampin' Pretty Pals! Should you hop off course, simply click on any of the links in the Pals Hop Line-up below and you'll be back on track. 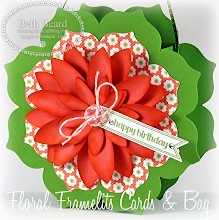 Tools: Framelits Labels Collection #125598, Paper Doily Large Sizzlits Die #125592 both from the Occasions Mini Catalog pg. 6 & 7. 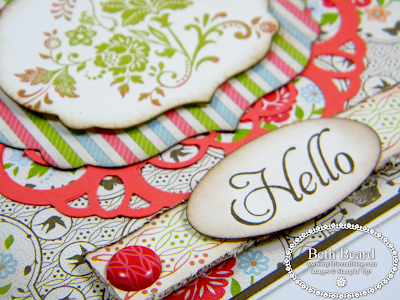 Now hop along for more inspiring ideas from Kim Luithle at Kim's Stampin Stuff, stop number 20 on the Occasions Mini & Sale-A-Bration Pals Blog Hop! Thanks for "hopping" by! Neat card! Love the vintage look! fabulous card ~ wow!!! hope I have time to play with my toys today! You've inspired me! TFS and have a wonderful day! Oh that Calypso Coral looks wonderful here! Fresh and Vintage! i love your card. Beautiful and just enough Pop! Pretty card... the doily catches your eye. so pretty! I love how you used multiple dies- looks fabulous! Love the combinations of patterns and layers! Beautiful card! All of the elements look great together! Beth....thanks for your comment and e-mail..Your card is absolutely stunning...a real standout! 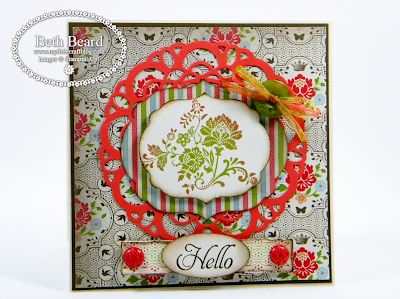 great use of colors and the doily die!